Hi! In this short tutorial, we will show you how to automatically accept reviews for a specific rating. 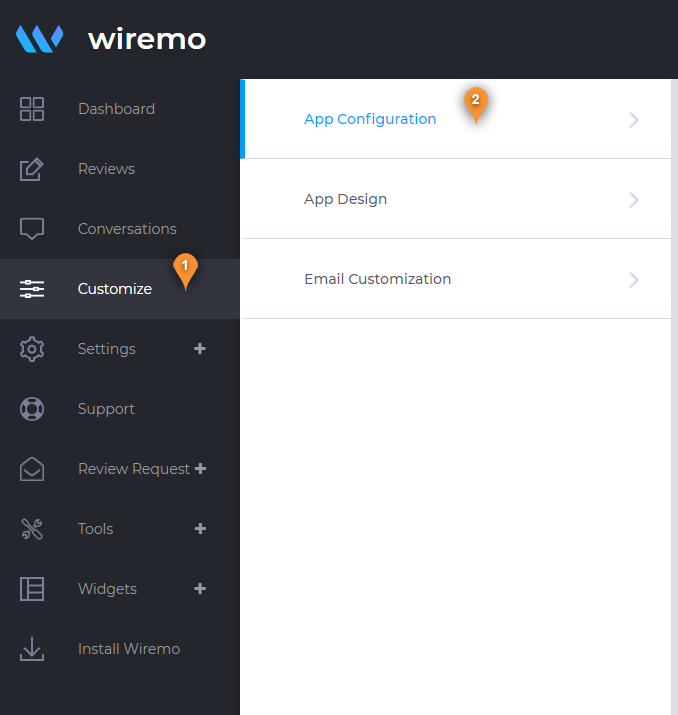 To accept reviews automatically, please login to Wiremo Dashboard, go to "Customize" (pin 1), then choose the "App Configuration" section (pin 2). Now in "App Configuration" scroll down, find the option "Auto-approve reviews" (pin 3) and enable it. 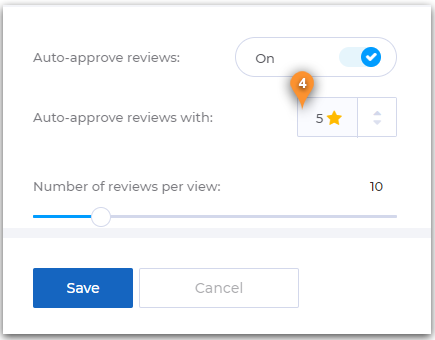 Once you enable the "Auto-approve reviews" option, a new addition setting will appear - "Auto-approve reviews with:" (pin 4). This option provides you the possibility to choose the specific rating for reviews you want to accept automatically. Select the rating you want and then press the "Save" button. Note: The app will auto accept reviews starting with the rating you choosed to the highest one. For example if you selected rating 3, then the app will auto accept reviews with 3, 4 and 5 stars. That's all. Now you're done! Thank you for choosing Wiremo.